Coralive.org is a Swiss-based environmental organization (CHE-311.736.420 Swiss Association Registration Number), passionate for the ocean, operating worldwide to help protect, manage and restore coastal ecosystems. As in nature, diversity and synergy are key in creating a healthy environment, hence our team represents diverse backgrounds of experience and expertise to provide the multi-faceted services we offer. The Coralive.org family is a growing global network of like-minded people and organizations, always open to new input and partnerships, so let us know how you might envision a collaboration! Aki has dedicated his energy and talents to marine conservation initiatives around the globe since 2011, from serving as Program Manager for marine conservation NGO, Reefdoctor in Madagascar, to Project Manager for a Philippine-based NGO working on coral reef restoration, MPA management, and alternative livelihood solutions. Armed with a master’s degree in “Sustainable Natural Resource Management” and a thesis in “Coral Reef Restoration” from the United Nations mandated University for Peace in Costa Rica, he is always searching for new knowledge and learning best practices to share. Joanne is an ecologist with a strong background in coastal management and environmental impact assessment. She worked as an environmental consultant and researcher in themes varying from coastal planning and harbor green-engineering, to mangrove reforestation, microplastic pollution and saltmarsh ecology. Joanne’s quick thinking, analytic and spatial-oriented mind serves the Coralive.org team as an invaluable resource for evaluating, designing and executing projects. 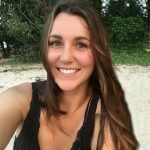 Cassia is an environmental engineer, biologist, and PADI Divemaster with a passion for communicating issues impacting our ocean. 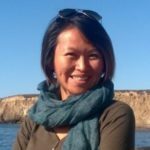 Her experience ranges from marine biology research on biogeochemical cycling at the Lamont Doherty Earth Observatory at Columbia University to authoring a sustainable tourism standard as Program Manager for the Oceanic Global Foundation to engage coastal communities and industries in sustainable action. Cassia assists in ecological monitoring, data inventory, and communicating initiatives to local stakeholders, sponsors, and the general public. 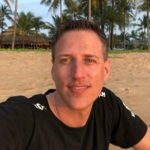 Alex is a lifelong environmental and ocean advocate with a degree in Marine & Wildlife Biology from Griffith University School of Environment and Science. 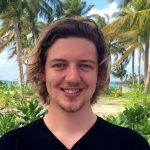 Having spent a year managing a Maldivian nonprofit dedicated to coral reef restoration, sea turtle medical care and community development, he expands Coralive.org’s team to oversee new mineral accretion projects. Alex will activate communities around the world in conservation efforts, providing best practices and ensuring proper transfer of knowledge to achieve long-lasting results. Zoe is a marine biologist, earning her degree from Flinders University in South Australia. While overseeing the clown fish breeding program at a Maldivian marine conservation NGO, she witnessed firsthand the profound impact of anthropogenic climate change on coral reefs. This drove Zoe to dedicate her skills and passion to improving the health and resilience of our fragile reef ecosystems. 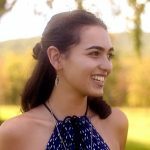 With Coralive.org, Zoe will help create and lead diverse teams of volunteers and assist in both the organization and execution of reef restoration projects. Marcel’s background lies in electrical engineering, computer technology and web design. As an ocean lover and passionate scuba diver, he is committed to the conservation of the marine environment. 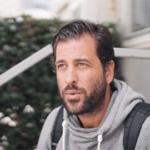 Marcel contributes his expertise to the research and development of technical solutions and installations for Coralive.org projects.